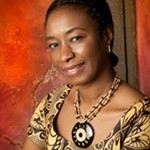 Sefi Atta was born in Lagos, Nigeria, and is a novelist, playwright, and short story writer. She is the winner of the PEN International’s 2004/2005 David TK Wong Prize, and in 2006 her debut novel Everything Good Will Come was awarded the inaugural Wole Soyinka Prize for Literature in Africa. Her short story collection, Lawless, received the 2009 Noma Award For Publishing in Africa. Lawless is published in the US and UK as News From Home.She lives in Mississippi with her husband Gboyega Ransome-Kuti, a medical doctor, and their daughter, Temi. The author was good enough to answer a few questions about her recent work for Sycamore. Click here for a review of her most recent collection, News from Home. SR: You’ve written a novel and a number of plays before publishing the new collection of short stories, News from Home. What is it about the short story form that attracts you? How does your writing process differ when writing short stories, as opposed to novels or plays? SA: Short stories give me the freedom to write about characters that are different from me and to travel to places I’ve never been. With novels, I have to be familiar with my settings and my protagonists must, to some degree share, my views; otherwise, I would lose interest. Plays are dialogue driven and I very much enjoy writing dialogue. Plays give me a different kind of freedom. I don’t have to worry about descriptions of characters and places. SR: Some writers say that they begin a story with only an image in mind, or with a particular sentence that has been playing over and over again in their heads. What does it take for you to start a story? SA: My stories begin as daydreams. I have a compulsion to rearrange real stories and pass them on as fiction. I prefer that my creative process remains unexamined and that I just get on with writing. It’s not fun to recap the mechanics. They can be embarrassingly difficult to explain or plain mundane. All my stories begin with a voice though. I can’t write a story if I don’t get the voice right. SR: Do you feel that living in America has affected your writing? How so? SA: It must have, but it’s difficult to say how because this is the only writing life I’ve led. I was born and raised in Nigeria, I spent the first fourteen years of my life there, the next sixteen in England and I have lived in the States for sixteen years. I suppose I get my need to commemorate from Nigeria, social satire from England, and from America my trust in detail. SR: What is the last great short story you read? What was it about this story that captured you so? SA: I’m just about to travel to Nigeria and I’m taking two short story collections by J.D. Salinger and Truman Capote. I honestly can’t remember the last great short story I read, but Grace Paley is my favorite short story writer. She has a strong, unique voice and writes her culture in an intelligent, original way. SR: You have a new novel, Swallow, being published later this year. What would you like readers to know about the new book? SA: Swallow is a whimsical story about two Lagos women who get caught up in the drug trade during the 1980s. It is also a mother-daughter story that shows a pattern of treating women as chattels and at the same time expecting them to be self-sufficient. It’s inevitable that a cultural environment like that, coupled with a recession, led to a high incidence of women drug mules in Nigeria of the 1980s.